Nona Gaprindashvili's commemoration chess award "Nona’s Cup" was bestowed on September 7-8 in Guria and Samegrelo. "Nona’s Cup", which was founded in 1997 by World Chess Federation, will be awarded to the victorious team at chess Olympiads. Batumi will host the 43rd World Chess Olympiad between September 23 and October 5. Five-time World Champion - Nona Gafrindashvili, two-time World vice Champion - Nana Ioseliani, the President of Georgian Chess Federation - Giorgi Giorgadze, who is one of the leaders of the organizing committee of the Olympiad, and other federation representatives - visited the regions of Guria and Samegrelo. "Nona’s Cup" has been exhibited at the Chess Park in Ozurgeti, Guria region. Nona Gaprindashvili, Giorgi Giorgadze and Nana Ioseliani, as well as the state governor of Guria region - Zurab Nasaria spoke to chess lovers and addressed general public. The 91-year-old veteran chess player - Olia Shatirishvili, has greeted the guests in Ozurgeti and has reminded Nona Gaprindashvili about their personal chess confrontations, which happened 55 years ago. 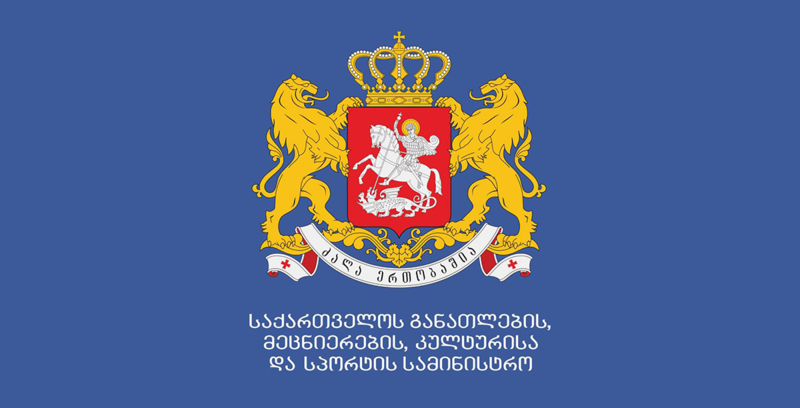 Zurab Nasaria, Nona Gafrindashvili, Nana Ioseliani and Giorgi Giorgadze were awarded with memorable prizes, whereas the President of Georgian Chess Federation handed over a symbolic prize to the Governor and Olia Shatirishvili. Moreover, "Nona’s Cup" was exhibited in the yard of Dadiani Palace in Zugdidi, Samegrelo region. 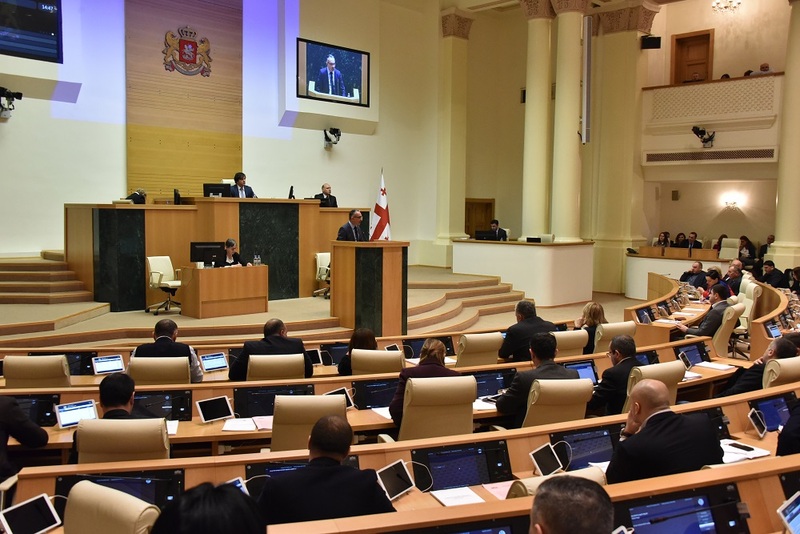 The guests were hosted by the state governor of the Samegrelo-Zemo Svaneti region - Alexander Motserielia, together with the various representatives of the local government. 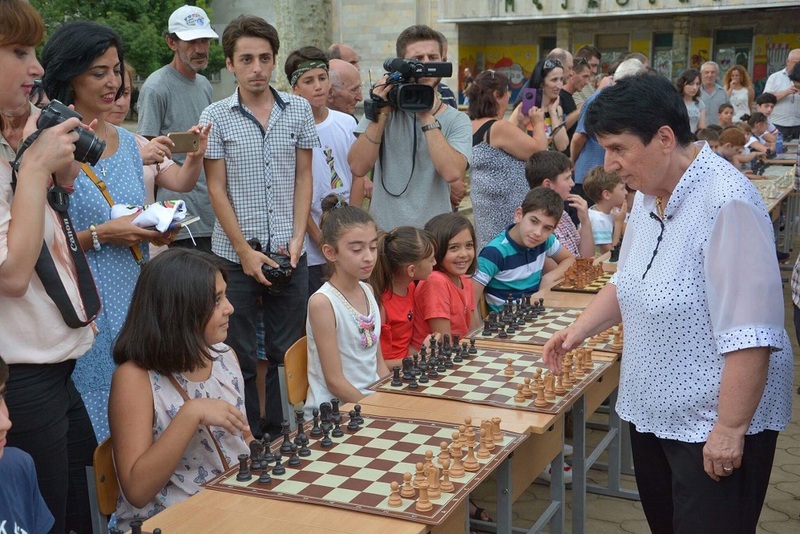 Nona Gaprindashvili and Nana Ioseliani held a one-time game session in Zugdidi as well, and handed out memorable prizes and to the younger chess players afterwards. As per the tradition, the chess tournament was arranged in both towns, and the winners were awarded with a variety of shirts, notebooks, and memory cards and handbags, engraved with the symbols of the 43th World Chess Olympiad. "After being nominated for hosting the Batumi Olympiad, the organizing committee has been trying to popularize this tournament and is traveling with the" Nona’s Cup “in various parts of our country. I am delighted to say, that in all the cities where we’ve been, I saw the greatest joy and love for this game. Obviously, Guria and Samegrelo regions are a natural exceptions. I am happy that in this side of Georgia, this game is still cherished and loved as it once was. Ms. Nona and Ms. Nana played a number of interesting games with the young generation and I think that one day, National teams of Georgia will be composed with this young talented players. I would like to thank the local government for their excellent hospitality as well." – said Giorgi Giorgadze. “There is a very little time left before the Batumi Olympiad, but I would like to remain calm: I see everything goes according to plan and I believe this Olympiad will be the best in history of Georgia. I have a lot of warm memories with Guria and Samegrelo and this is why I visit Ozurgeti and Zugdidi”. – stated Nona Gaprindashvili. "Nona’s Cup" has been exhibited in Tbilisi, Telavi, Rustavi, Kutaisi, Ambrolauri, Gori, Stepantsminda and Kvareli, as well as in several villages of Georgia. Next host of "Nona’s Cup" will be revealed after the Olympiad and it will be transferred to the country whose team will collect the most points in total.